You are here: Home / How it Works! 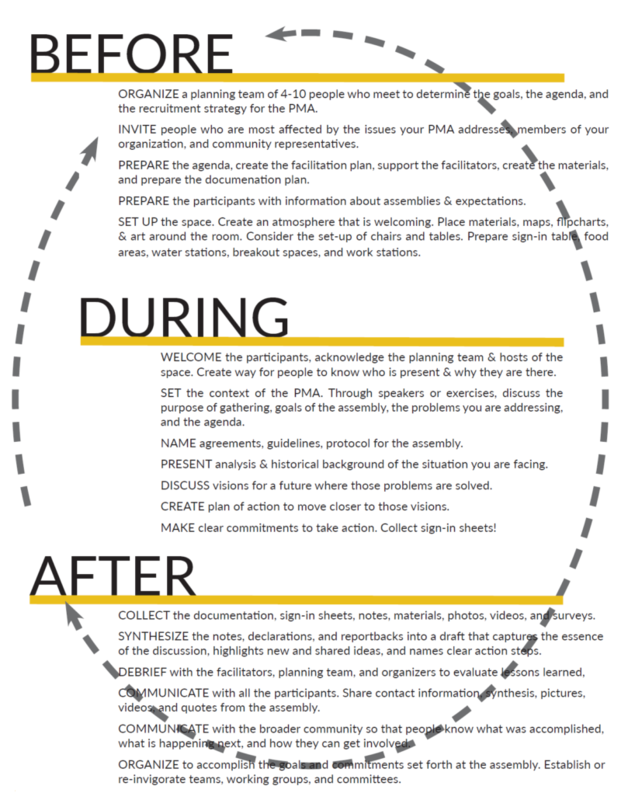 The PMA is an organizing strategy. 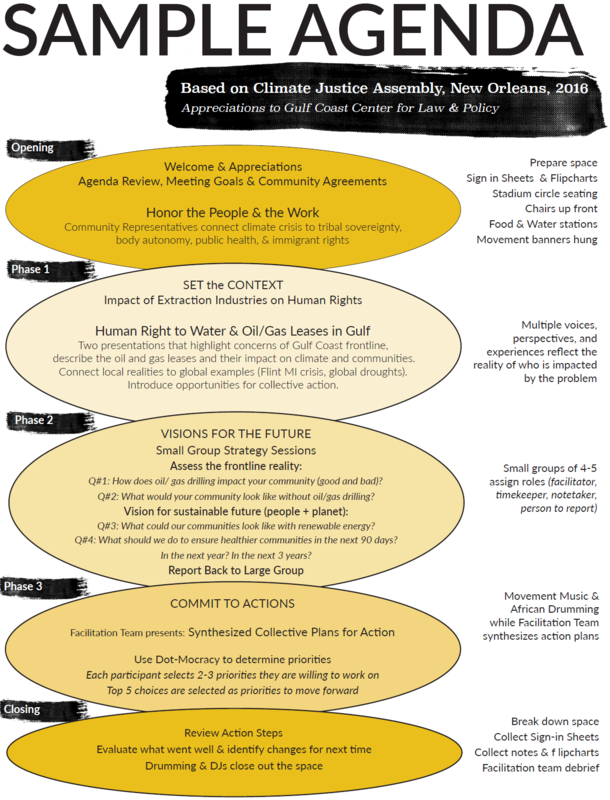 The PMA is an ongoing process to practice and exercise power at the community level, across frontlines, and as social movements. The PMA puts the trust and leadership in the people assembled to make decisions together. It is not about a single leader, organization, or pre-determined goal. The Before / During / After cycle reflects the organizing process. 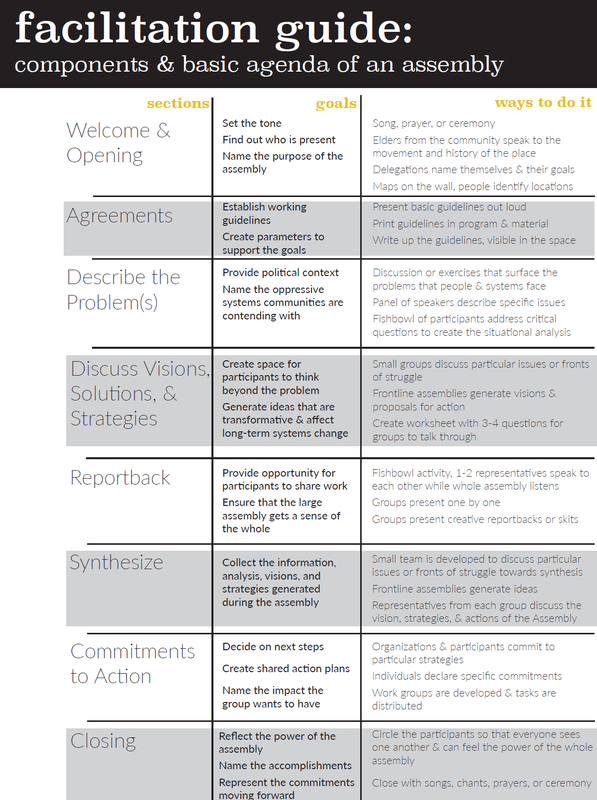 Preparation, facilitation, participation, reflection, and follow-up is critical to advancing from one stage of development to the next. As each PMA is organized, it should build on the previous lessons and towards future gains.